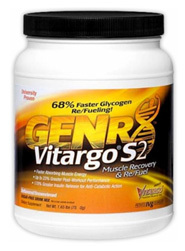 Genr8 Vitargo S2 Reviews - Is This Carbohydrate Worth the Extra Cost? Very Expensive Carbohydrates, Is It Worth It? Speaking of pricey carbohydrates, I honestly can't think of another product on the market that costs more than the Genr8 Vitargo S2 supplement, where one serving of this stuff will cost you around $3 or more. What's in it you ask? Well, it's just pure carbs, expensive ones at that! When it comes to sports supplements and macronutrients, carbs are probably the cheapest of the lot where you can get various types of carb supplements for around $2 to $3 a pound. Now you compare it to something like Vitargo S2, one serving is 70 grams, so for about a pound of the average carbohydrates, you get 70 (0.154lb) grams of Vitargo. So exactly what is it about Vitargo that makes it so expensive, to be able to charge such a large premium compared to other types of carb supplements? And really, is it worth it to spend around $3 per serving on this stuff? This is certainly pretty expensive! Well, we're going to discuss Vitargo in some detail here and explain what it's major qualities and benefits are. Exactly What Is Vitargo S2? First of all, if you just look at the nutrition label, you'll see that all that this contains is 70g of carbohydrates per serving for a total 280 calories. Wow huh?! 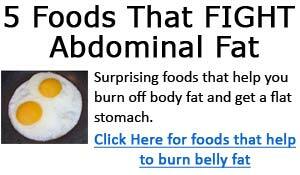 You're probably not too keen on paying $3 per serving for 70 grams of carbs! That'll buy you about a pound or more of dextrose or maltodextrin. Of course, there must be some fundamental differences and major benefits, or Gener8 would not be able to sell Vitargo S2 at such a steep price premium. Vitargo S2 is high molecular weight (HMW) carbohydrate with a molecular weight of about 500,000 to 700,000. What's so special about this? Having a HMW gives Vitargo a low osmolality rate, meaning that it passes through the stomach at a much faster rate. Other types of carbs such as maltodextrin (1,000 to 10,000) and dextrose (180)has low molecular weights. Basically, vitargo will get to your muscle much quicker. Okay, well, so it's apparent that a HMW carb such as Vitargo will provide additional benefits over LMW carbs such as dextrose or maltodextrin, but considering the massive price differences, is it really worth it to spend $3 per serving, when you can get about 1 pound of other types of carbs for $3? Depending on who you talk to, you'll get different opinions. Honestly, if you ask for my opinion, I'm not all that keen on overpaying for a pure carbohydrate supplement. That's money I can probably spend elsewhere, say a creatine or a protein powder. And I can't really say I notice all that much difference between Vitargo S2 and a standard dextrose solution. Of course, YMMV. Effectiveness aside, and emphasizing monetary considerations, I'd much rather spend $2-3 for a whole pound of lower cost alternatives. Of course, a premium carb product such as Vitargo has its uses, especially for elite and competitive athletes that absolutely will benefit from that extra edge. But for the average Jim like me, the extra cost far out weigh the extra benefits derived from this product, so for me, I've used it a few times, but I generally stick with much lower priced carb products.